From the hand-forged silver pendants to the contemporary designs crafted by their own hands, the designers and makers at Original Hardware know that the little details do make a difference. Owner Carrie Schafer chooses only high-quality materials and semi-precious gemstones and uses handcrafted components made by skilled artisans from around the world. Materials are ethically sourced and 100% recycled sterling silver. She aims to tread lightly on the planet, ensuring that her small Littleton, Colorado business follows best practices for environmentally-friendly jewelry making techniques. 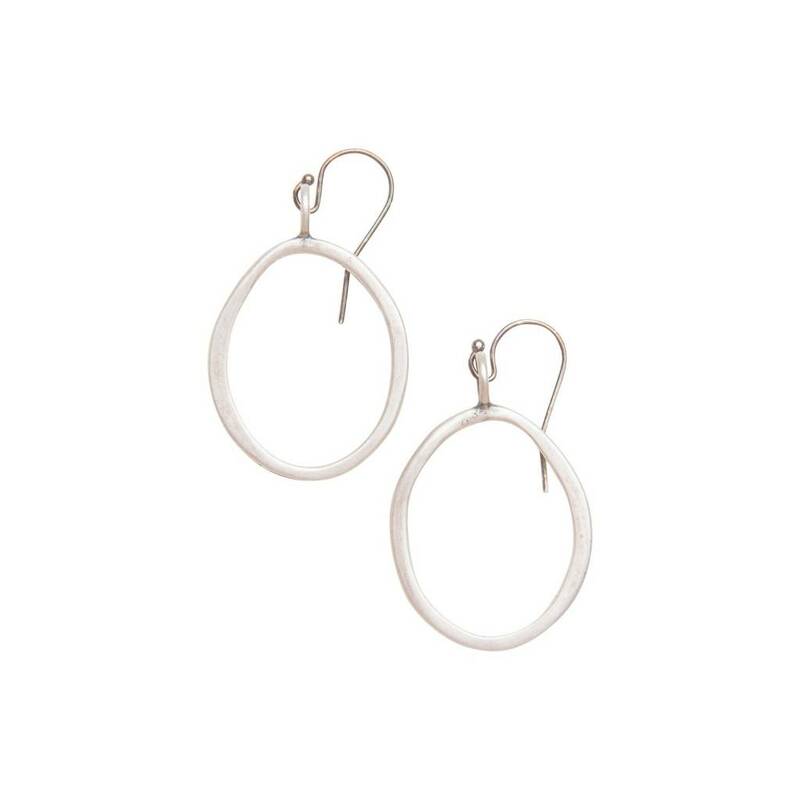 Slightly imperfect but always stylish, the 1 3/4" long small organic hoop earrings are light and easy to wear. Available in sterling silver or yellow bronze. 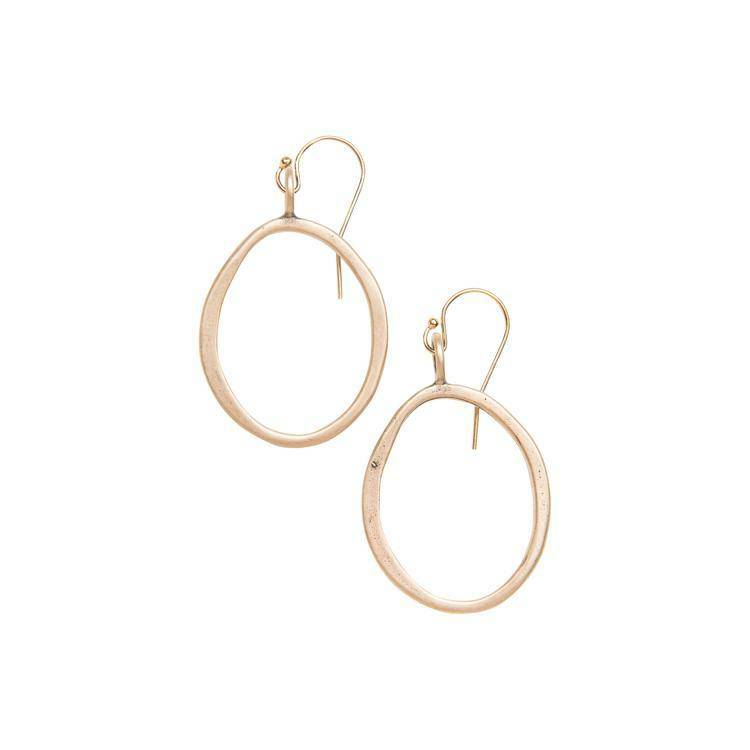 With the satin finish in these styles, they can be worn with any of your outfits. This style comes in three sizes: small, medium, and large.